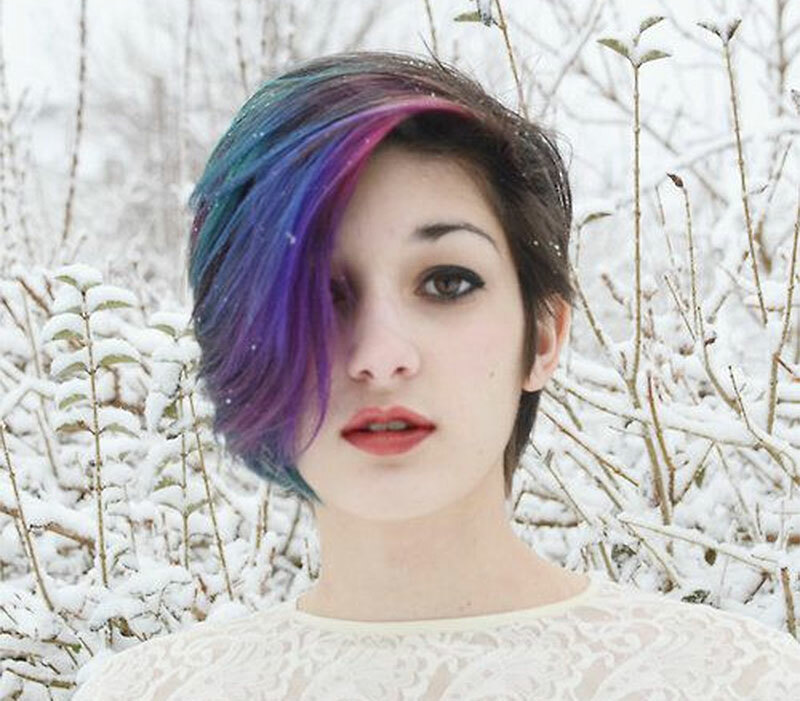 Submitted to "12 Gorgeous Pastel Shades For Short Hair"
You might feel like rainbow shades are too vivid and over the top, but would still like to try out something extravagant…in this case, mixing together pale blue and purple shades will create a gorgeous ‘galaxy” hair effect for you. If you don’t it to be too overwhelming, try to focus on lighter blues and purples with a cool, silver undertones. This way, you won’t have to worry your hairstyle being too “loud”, instead, it will look fresh, fun and very edgy.